Hello, and once again, happy Monday morning! 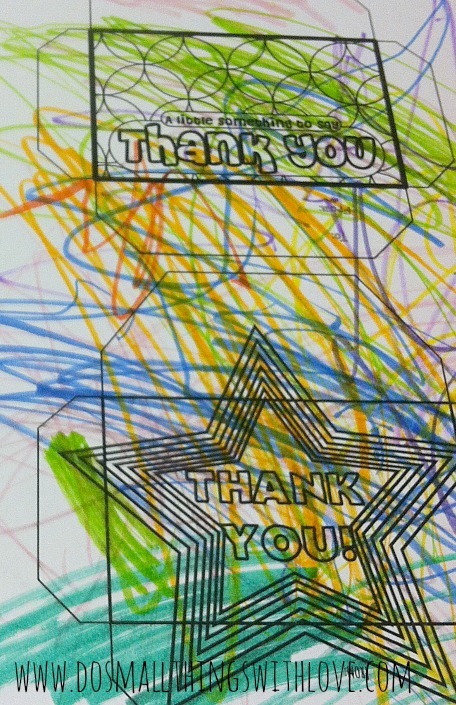 Today I have the only teacher’s appreciation gift that you will ever need: Gift Card Envelopes to Color and Give. Get excited, it’s another free printable. Think I sound pretty sure of myself, well, I used to be a teacher, and although I didn’t rake in the teacher appreciation gifts (I taught high school…and at an alternative school), I do have a few opinions on what teachers want, if you are planning on getting them something. Namely, they want gift cards. Pure and simple. Sure, your kid’s art work is sweet, and your clever puns are funny, and even more clever when pasted to a vase of candy flowers…but seriously, what are we supposed to do with these things? They sit on your desk for a while…and then…they get chucked. I’d rather have a gift card, and so would teachers everywhere. But, gift cards are so boring. I hear ya on that. 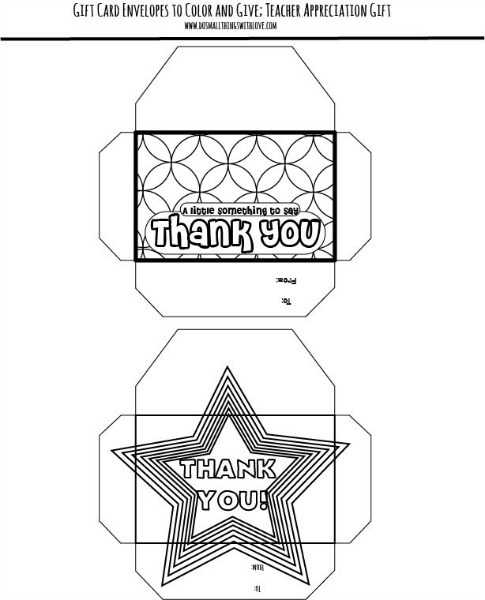 So, I made a simple little free printable that you can print, have your darling children color (to add a little bit of personality and craftiness to this gift) and then pop a gift card inside and you’re set! Your beloved teacher will smile at the sweet coloring…and still have something useful that will make their life better in a tangible way. Win win. Here is a look at the free printable. The link to download it is located below the image. For best results, print this out on white card stock. After you have the gift card envelopes to color and give printed, well, you can probable figure this out, but I’m going to tell you any way! 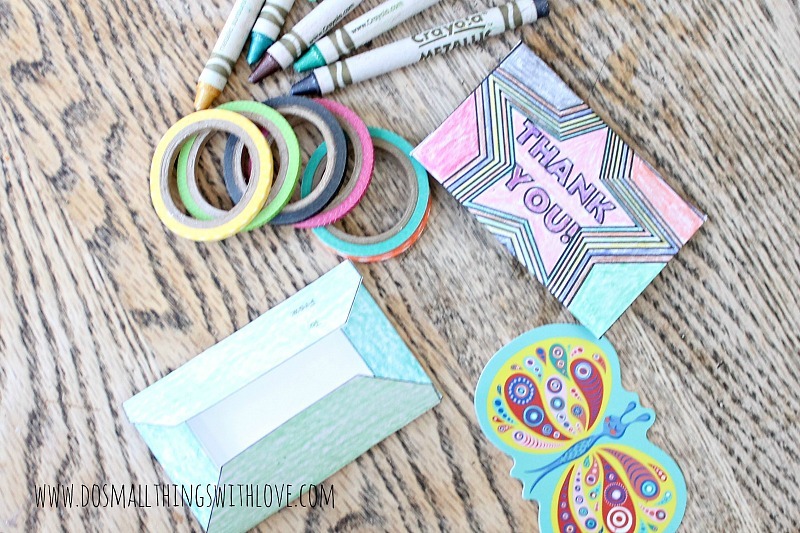 Have the kids color each envelope and address and sign each one. Then, cut out. 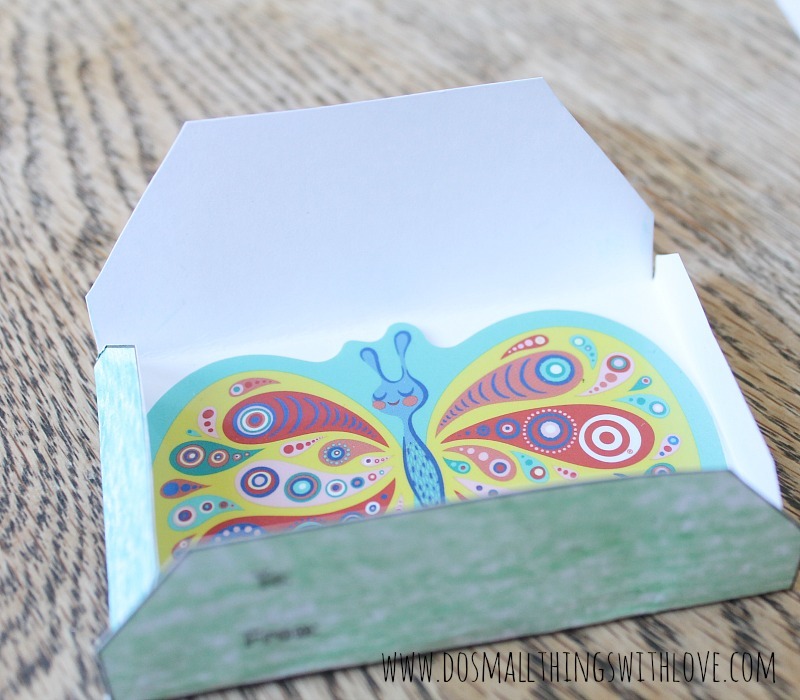 Each envelope is the perfect size to hold a standard sized gift card. Just fold in the tabs, starting with the side tabs first, then fold down the top, and finally fold up the bottom. 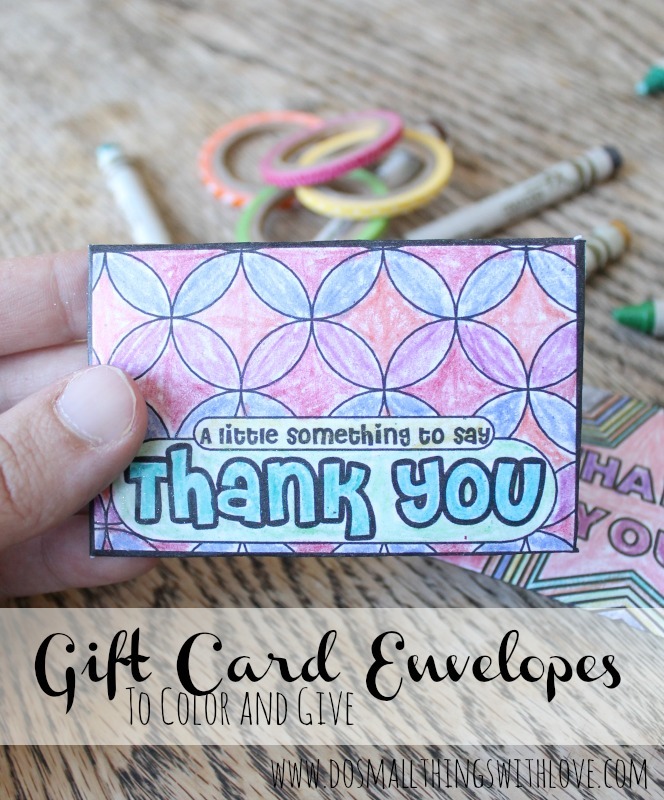 Place the gift card inside and close with some pretty tape. I know…you could have figured that all out on your own! But, you know that they say, once a teacher, always a teacher! I am showing you this just to say that advanced coloring skills are not necessarily a pre-rec for this project! Even these will be fun, and bright and have lots of personality when we give them…and if they hate them, hey, at least there’s still a gift card inside!!! 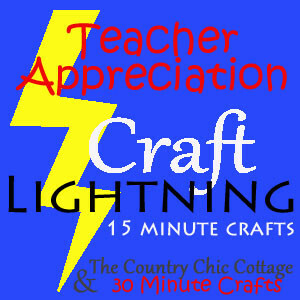 This post is, once again, part of the Craft Lightning Series my friends Angie and Carolina put together each month. This month a whole group of us are coming up with teacher appreciation gifts. Got some teachers you need to thank? Click the button below to see tons of other great ideas! These are such great little envelopes! My kiddos would love to color them! I still love coloring too! That’s almost EXACTLY what the coloring sheet would look like with my boys too 🙂 I love kid colored gifts! Those are really cute…I like that it gives the child something to do to be a part of the gift. What an awesome way to give a gift card! Thanks!